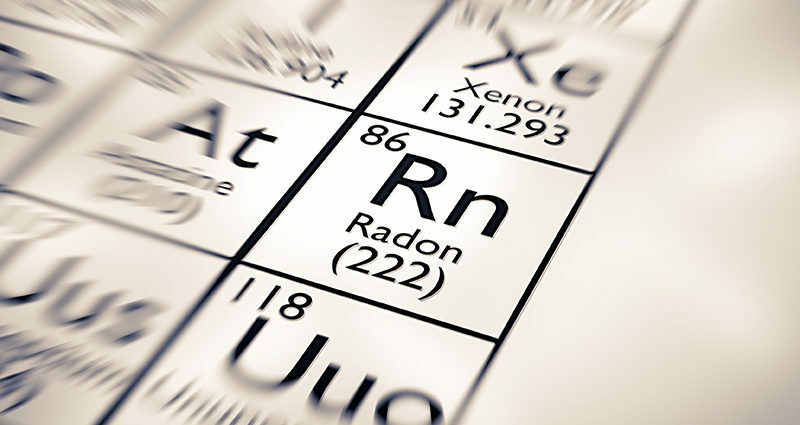 A property inspector comments on radon exposure limits. Better said, how much radon can I tolerate in my home’s basement or crawlspace? According to the World Health Organization, the annual allowable dose is 100 Bq/m³ or 100 becquerels per cubic meter. In the USA the standard is 150 Bq/m³. In Canada it’s 200 Bq/m³. Since I’m Canadian, I will refer to my national guidelines below. A radon test kit can be purchased for $30 from your regional or national lung association or alternatively get it online from Ebay or Amazon. You get a test “puck” sensor, instructions on where to mount it, a pre-paid envelope so it can be returned to a lab and the lab report itself. The mitigation procedure is to depressurize the soil under the concrete floor slab by ventilating it up through the roof. In my province of British Columbia, the residential construction building code recognizes two regions, that of low and high radon vulnerability. In the low vulnerability region, a capped-off stub-up must be provided in the lowest floor slab (and crawl space). This is simply a plastic pipe stubbed up and capped above the concrete slab, but it extends under the concrete floor floor and poly sheet below, into a sump area of clean gravel. The theory is that any radon gas will accumulate in the sump. The reason to have this provision in the new building is because there is insufficient data to confirm that the safe exposure limit is 200 Bq/m³. With more data and research this limit may well be reduced in the future. In the high vulnerability region of the province, the plastic pipe has to extend all the way up and through the roof, with a mechanical fan to depressurize the area below the concrete slab. This mitigation technique has proven to be most effective to reducing the radon levels to well below 50 Bq/m³. In the next post, I will discuss what you can do in your community to protect yourself from radon.